Beyond the barrier that a fence provides, this seemingly simple structure in the front or backyard can also be an architectural feature that enhances the landscaping and curb appeal of your home. And with custom fencing, you can get personal and tailor the design to suit your specific needs. 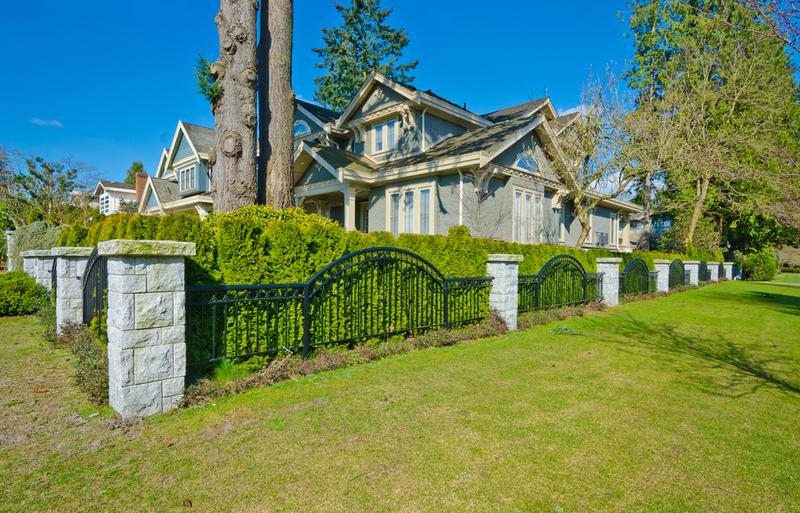 When it’s time to install a new fence, here are a few tips that can help you customize it to suit your home and style perfectly. A fence can serve many different purposes, ranging from noise reduction to enhanced curb appeal to privacy and security. And the style and materials will differ depending on what you want your fence to do. So start by thinking about why you need a fence in the first place and what your priorities are when it comes to its purpose and function. Next up is your budget. After pinpointing the main purpose of the fence, you should figure out what your budget will look like. This is very helpful to have before you begin your design phase as it can determine what type of materials fall within your budget. Once you have your budget nailed down, you can take your specs to a professional fencing company like Fence Masters, who can help you during this process. Materials are one of the main factors when it comes to creating custom fencing. And when you have an idea of what you want, getting personal with your design becomes much easier. You may love the idea of a natural wooden fence, but you may not love the level of maintenance it can require. Alternatively, if you like the look of ornamental iron fencing, think about the level of security and privacy you need and whether it can deliver on these. Speaking to a professional fencing contractor can be really beneficial to ensure you end up with a material that is suitable for your home. Once your new fence is installed, it doesn’t have to look like a stand-alone feature. You can make it more inclusive with your landscape by positioning items like your plants or even a quaint bench alongside it. Personal touches like these can make all the difference. Find the perfect custom fence for your yard with Fence Masters. We offer free onsite estimates with experts who can assist you in finding the right design for your needs and home.